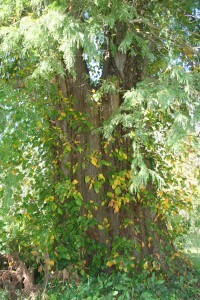 As Delaware’s only truly native deciduous conifer, baldcypress is often found in swamps and ponds in southern Delaware. 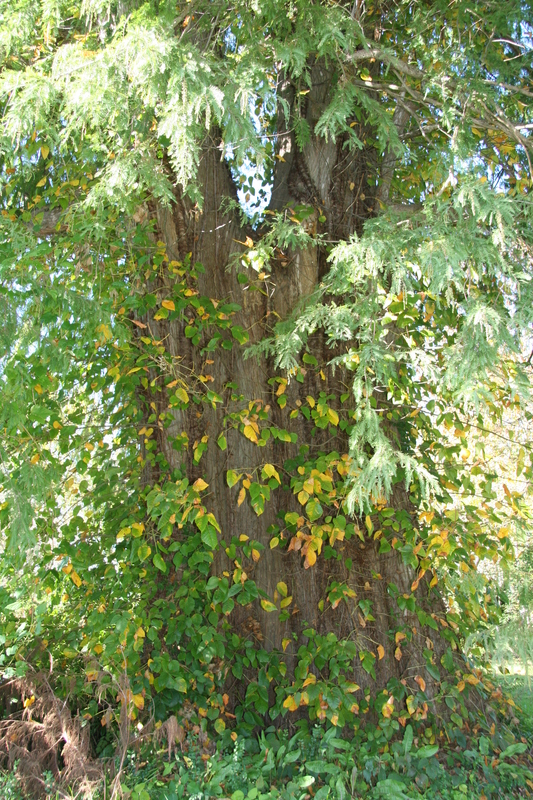 Its broadly-flared trunks and root-like knees help to identify this stately tree, which is well-suited for parks and large estates, especially in wet areas. Its wood is light and durable and used for shingles and boats. One of the northernmost natural stands of baldcypress in the United States is located at Trussum Pond near Laurel. Baldcypress leaves are flat, linear, and light-green with one-inch round cones that occur singly or in clusters of two or three. The cones are used for food by squirrels and ducks.